"Easiest, most painless root canal I've ever gotten. Dr. Sunar did a great job." "I've had a total of 3 root canals done here. Dr. Sunar is one of the best in Charlotte." "Dr. Sunar was fantastic. His process was quick and he made sure I was comfortable." "Dr. Sunar and his staff put me at east and it was pain free and quick!" "The office is warm and comfortable and the staff and doctor are extremely personable." "I saw Dr. Sunar for a root canal and was in and out within no time and it was painless." "I drive two and a half hours to see Dr. Sunar. He has done 3 root canals for me." Ramesh K. Sunar, DMD, at Charlotte Root Canal Center in Charlotte, North Carolina, is an expert endodontist with more than 15 years of experience working in the field. 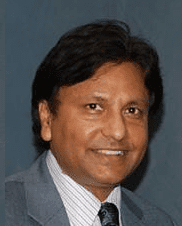 Dr. Sunar received his degree in dental medicine from the University of Connecticut School of Dental Medicine in Farmington, Connecticut in 1998. He then went on to complete his residency in general dentistry at the Veterans Administration Hospital in Manchester, New Hampshire. It wasn’t until he completed his residency that Dr. Sunar chose to specialize in endodontics. That’s why he earned an additional certificate degree in the field from New York University’s College of Dentistry in 2001. Armed with these specialty certificates, Dr. Sunar moved to Charlotte, North Carolina, to start his own endodontic practice. Through a compassionate and educated approach to dentistry, Dr. Sunar is committed to providing pain relief in the most expedient way possible to patients of all ages. His specialized approach to endodontic treatment ensures that you get the results you need, prevent future complications, and get back to your daily routine with a healthy smile on your face. We treat both adults and children. If you are experiencing tooth pain,or require a service we offer, call us today to schedule an appt. Sudden tooth sensitivity can make it hard to enjoy a cold beverage, a scoop of your favorite ice cream, or a soothing sip of hot tea on a chilly day. It can also signal serious oral health concerns that require a visit to the dentist.